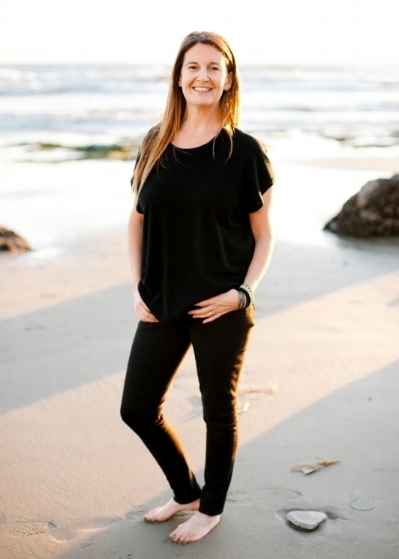 Het there, I'm Emma Malina, a Certified Integrative Nutrition Health Coach based in Santa Barbara, California, where I live with my incredible husband, our amazing daughter and our sweet chocolate lab. I was born in Santa Barbara but spent 32 years away, in London, Boston & New York City respectively, before returning to my birthplace. On paper, my journey sounds pretty exciting but the essence of it reads "worked really hard, got caught up in taking everything to the next level, lost balance and lost self." In 2013, my husband and I walked away from extremely rewarding and lucrative careers in New York City to reset our lives and to focus more on living and doing what we truly wanted to do while actually raising our daughter. Whilst everything was going "as planned", we had a longing for more. Not more money or more responsibility but more... Life. I'll be honest, it wasn't an easy transition for me, transitions rarely are, but ultimately the rewards were greater than I could have imagined. It was within that transition that I truly began to get to know myself again - my passions, my desires, my soul, my needs and perhaps even more important, all the stuff that really, truly does not matter! When we ignore our inner critic, stop meaningless comparisons, stop giving ourselves a hard time, stop starving or depriving ourselves, stop telling others what they should do and instead start focusing on the good stuff, the stuff we love, the stuff we are grateful for, the stuff that makes us feel incredible - well, that is when the magic happens. Basking in Goodness is a celebration of self-care, fostering connection and relationships, finding and nurturing our own mind-body connection and enjoying each and every moment to our best individual abilities. It is not a diet, it is not a race - it's a recalibration of your life so that you can live out each and every day as YOU wish to live. I've always had a really hard time asking for help, but when I finally realized that asking for help is actually a true showing of strength, my world changed. Trusting that you know what you need and being able to assemble your support network around you to make it happen is truly incredible. What is it that you want? What do you need to make it happen? How can I help you achieve that?